Bright Silver Metallic Clearcoat 2006 Chrysler Pacifica FWD 4-Speed Automatic 3.5L V6 MPI 24V Accident Free - One Owner, New Tires, Local Owner, Non-Smoker, 4-Wheel Disc Brakes, ABS brakes, Air Conditioning, CD player, Dual front impact airbags, Four wheel independent suspension, Front anti-roll bar, Front dual zone A/C, Knee airbag, Occupant sensing airbag, Power driver seat, Power passenger seat, Power steering, Power windows, Remote keyless entry, Security system, Steering wheel mounted audio controls. Recent Arrival! Come to McKay's and Drive the Best! Mineral Gray Metallic 2010 Dodge Ram 1500 SLT 4WD 5-Speed Automatic HEMI 5.7L V8 Multi Displacement VVT Local Owner, Non-Smoker, ACCIDENT FREE!! !, HEMI 5.7L V8 Multi Displacement VVT, 4WD, 6 Speakers, Air Conditioning, AM/FM radio: SIRIUS, Ash Tray Lamp, Auto-Dimming Rear-View Mirror, Big Horn Regional Package, Bighorn Badge, Brake assist, Bright/Bright Billets Grille, CD player, Dual Rear Exhaust, Electronic Stability Control, Fog Lamps, Glove Box Lamp, Halogen Quad Headlamps, Illuminated Sun Visor Vanity Mirrors, Leather Wrapped Steering Wheel, Luxury Group, Mopar Chrome Tubular Side Steps, Overhead Console w/UGDO, Power windows, Rear Dome w/On/Off Switch Lamp, Remote Start & Security Group, Remote Start System, Security Alarm, Steering Wheel Mounted Audio Controls, Underhood Lamp, Universal Garage Door Opener. Recent Arrival! Odometer is 9796 miles below market average! Come to McKay's and Drive the Best! Blue 2016 Jeep Renegade Latitude 4WD 9-Speed 948TE Automatic 2.4L I4 MultiAir Recent Arrival! Odometer is 5053 miles below market average! 21/29 City/Highway MPG Awards: * 2016 KBB.com 10 Best SUVs Under $25,000 * 2016 KBB.com 10 Best All-Wheel Drive Vehicles Under $25,000 * 2016 KBB.com 10 Most Fun SUVs Come to McKay's and Drive the Best! New Price! White 2018 Dodge Journey SE FWD 4-Speed Automatic VLP 2.4L I4 DOHC 16V Dual VVT Odometer is 7587 miles below market average! Come to McKay's and Drive the Best! Brilliant Black 2009 Dodge Ram 1500 SLT 4WD 5-Speed Automatic HEMI 5.7L V8 Multi Displacement VVT Local Owner, Non-Smoker, Bluetooth-Hands Free, Accident Free!! !, HEMI 5.7L V8 Multi Displacement VVT, 4WD, 32 Gallon Fuel Tank, 4-Wheel Disc Brakes, ABS brakes, Air Conditioning, AM/FM radio: SIRIUS, Ash Tray Lamp, Auto-Dimming Rear-View Mirror, Brake assist, CD player, Cloth 40/20/40 Bench Seat, Electronic Stability Control, Glove Box Lamp, Illuminated Vanity Sun Visor Mirrors, Leather Wrapped Steering Wheel, Light Group, Manual Adjust Seats, Overhead airbag, Overhead Console w/UGDO, Power steering, Power windows, Quick Order Package 25G SLT, Rear anti-roll bar, Rear Dome w/On/Off Switch Lamp, Rear Folding Seat, Speed control, Steering Wheel Mounted Audio Controls, Traction control, Underhood Lamp, Universal Garage Door Opener. Recent Arrival! Odometer is 34455 miles below market average! Come to McKay's and Drive the Best! New Price! granite crystal metallic clearcoat 2018 Jeep Renegade Latitude 4WD 9-Speed 948TE Automatic 2.4L I4 17" x 7.0" Aluminum Wheels, All-Season Floor Mats, Cold Weather Group, Heated Front Seats, Heated Steering Wheel, PTC Auxiliary Interior Heater, Quick Order Package 2EJ, Windshield Wiper De-Icer. Recent Arrival! 29/21 Highway/City MPG Come to McKay's and Drive the Best! Granite Crystal Metallic Clearcoat 2017 Jeep Cherokee Latitude 4WD 9-Speed Automatic 2.4L 4-Cylinder SMPI SOHC Local Owner. Recent Arrival! 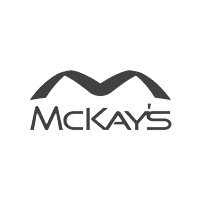 Awards: * 2017 KBB.com 10 Most Awarded Brands Come to McKay's and Drive the Best! Octane Red Pearlcoat 2018 Dodge Grand Caravan SXT FWD 6-Speed Automatic 3.6L V6 24V VVT Accident Free - One Owner, 4-Wheel Disc Brakes, ABS brakes, Air Conditioning, Anti-whiplash front head restraints, Automatic Headlamps, Black Finish I/P Bezel, Bluetooth® Streaming Audio, Brake assist, Bright Belt Moldings, Bright Side Roof Rails, Dual front impact airbags, Dual front side impact airbags, Electronic Stability Control, Front anti-roll bar, Front dual zone A/C, Front Fog Lamps, Highline Door Trim Panel, Integrated Roof Rail Crossbars, Knee airbag, Leather Wrapped Shift Knob, Leather Wrapped Steering Wheel, Low tire pressure warning, Occupant sensing airbag, Overhead airbag, ParkView Rear Back-Up Camera, Power 2-Way Driver Lumbar Adjust, Power 8-Way Driver Seat, Power Liftgate, Power windows, Premium Interior Accents, Quick Order Package 29P, Rear air conditioning, Remote keyless entry, Remote Start System, Remote USB Port, Security Alarm, Security Group, Speed control, Traction control, Uconnect Hands-Free Group, Uconnect Voice Command w/Bluetooth. Awards: * JD Power Initial Quality Study (IQS) Come to McKay's and Drive the Best! White Knuckle Clearcoat 2018 Dodge Grand Caravan SXT FWD 6-Speed Automatic 3.6L V6 24V VVT Accident Free - One Owner, 1-Yr SiriusXM Radio Service, 4-Wheel Disc Brakes, ABS brakes, Air Conditioning, Anti-whiplash front head restraints, Automatic Headlamps, Black Finish I/P Bezel, Bluetooth® Streaming Audio, Brake assist, Bright Belt Moldings, Bright Side Roof Rails, Dual front impact airbags, Dual front side impact airbags, Electronic Stability Control, Front anti-roll bar, Front dual zone A/C, Front Fog Lamps, Front wheel independent suspension, Highline Door Trim Panel, Integrated Roof Rail Crossbars, Knee airbag, Leather Wrapped Shift Knob, Leather Wrapped Steering Wheel, Low tire pressure warning, Occupant sensing airbag, Overhead airbag, Power 2-Way Driver Lumbar Adjust, Power 8-Way Driver Seat, Power Liftgate, Power steering, Power windows, Premium Interior Accents, Quick Order Package 29P, Rear air conditioning, Remote keyless entry, Remote Start System, Remote USB Port, Security Alarm, Security Group, Speed control, Steering wheel mounted audio controls, Traction control, Uconnect Hands-Free Group, Uconnect Voice Command w/Bluetooth. Awards: * JD Power Initial Quality Study (IQS) Come to McKay's and Drive the Best! Bright White Clearcoat 2016 Jeep Cherokee 75th Anniversary Edition 4WD 9-Speed 948TE Automatic 2.4L 4-Cylinder SMPI SOHC Accident Free - One Owner, Local Owner, Non-Smoker, Bluetooth-Hands Free, 4-Wheel Disc Brakes, 75th Anniversary Badge, 75th Edition Cloth/Mesh Bucket Seats, 8.4" Touchscreen Display, ABS brakes, Air Conditioning, Anti-whiplash front head restraints, Brake assist, Bronze Fascia Applique, Bronze Grille Surrounds, Bronze Roof Rails, Day Light Opening Moldings, Dual front impact airbags, Dual front side impact airbags, Electronic Stability Control, For More Info Call 800-643-2112, Front anti-roll bar, GPS Antenna Input, Integrated Voice Command w/Bluetooth, Jeep 75th Anniversary Package, Jeep Bronze Badging, Low tire pressure warning, Nav Capable! See Dealer For Details, No Satellite Coverage w/AK/HI, Occupant sensing airbag, Overhead airbag, Power 4-Way Driver Lumbar Adjust, Power 8-Way Driver Seat, Power Front/Fixed Rear Full Sunroof, Power steering, Power windows, Quick Order Package 21F 75th Anniversary (Retail), Radio: Uconnect 8.4, Rear side impact airbag, Remote keyless entry, Remote USB Port, SIRIUSXM Satellite Radio, Speed-sensing steering, Steering wheel mounted audio controls, Tangerine Interior Accents, Traction control, Uconnect Access, Wheels: 18" x 7" Bronze Painted Aluminum. Recent Arrival! Come to McKay's and Drive the Best! New vehicle pricing includes all offers and incentives. Tax, Title and Tags not included in vehicle prices shown and must be paid by the purchaser. While great effort is made to ensure the accuracy of the information on this site, errors do occur so please verify information with a customer service rep. This is easily done by calling us at ​(320) 247-6624 or by visiting us at the dealership.